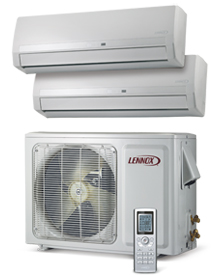 Ductless systems are usually smaller and more flexible than traditional heating and cooling systems. Each individual unit can be controlled separately, which enables you to set each room or space to your desired comfort level. Please browse our ductless systems below and click on any individual model for more information. Call us for a Free estimate to select the right ductless system for your home.